The findings have recently been published in the Elsevier journal, Virology. 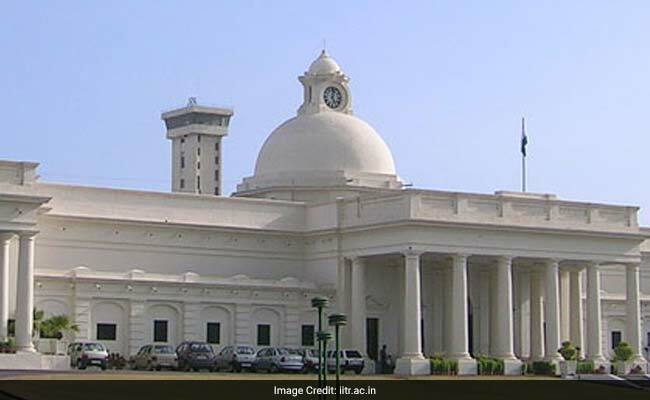 Indian Institute of Technology (IIT) Roorkee Professors Shailly Tomar and Pravindra Kumar from the Department of Biotechnology, have shown that a protein found in tamarind seeds has antiviral properties and can potentially be used to develop antiviral medication for chikungunya. Their findings have recently been published in the Elsevier journal, Virology. Alphaviruses cause mild to severe viral diseases in human beings and animals and are usually transmitted by mosquitoes. The chikungunya virus is an alphavirus that causes high fever and severe joint pain; the word "chikungunya" means "to become contorted" in the Tanzanian language, Kimakonde, and describes the stooped appearance of sufferers with joint pain. "Antiviral drugs and vaccines against most alphaviruses, including chikungunya are still not available in the market, and preventive measures are currently the only route to managing diseases caused by such viruses", says Prof Tomar, on the importance of developing antiviral therapeutics. Chikungunya and other alphaviruses are made of a single strand of Ribonucleic acid or RNA that is enveloped in a capsule. "The outmost layer of capsule consists of glycoproteins having glycans, a form of sugar. Through these sugar moieties viruses attach to the host cell receptors and enter the cells, causing infections. An antiviral drug that is able to block the interaction of alphaviruses with the host cell and thus, should inhibit virus. In biological systems, antibodies bind to the viral surface glycans (sugar) and glycoproteins and prevent entry of the virus into the host cells," said a statement from IIT Roorkee. "Thus", the statement added that, "research on developing antiviral drugs have largely focused on developing sugar-binding molecules that can mimic the action of the biological antibodies". Lectin, a diverse group of proteins derived from plant sources, are known to bind to glycan sugars. The use of lectin as antiviral has been extensively studied for a range of viruses, including the HIV and HPV. Prof Tomar and Prof Kumar have shown that a lectin derived from tamarind seeds bind to glycans/sugar molecules having N-acetylglucosamine (NAG) on the capsule of viruses, thereby preventing the entry of the virus into the host cells. Chikungunya glycoproteins have NAG, which makes the tamarind-derived lectin a promising agent against this virus. "Tamarind is known for various medicinal properties in India and is a excellent Ayurvedic food. The fruits, seeds, leaves and roots bark of the tamarind tree have been used to treat abdominal pain, diarrhoea and dysentery, bacterial infections and parasitic infestations, wounds, constipation and inflammation,", say the researchers at IIT Roorkee. They have isolated lectin from tamarind seeds using chromatography and have studied the binding of the lectin molecules to the glycan in the viral capsule by a process called Enzyme-Linked ImmunoSorbent Assay (ELISA). Antiviral activity of the tamarind seed lectin has been shown by techniques such as luciferase-based assay, plaque reduction assay and real-time PCR. Not only did the chikungunya virus lose 64% of is infectivity on treatment with the lectin, but the levels of viral RNA in the cells were also found to reduce to nearly 45%. "This study has, for the first time, evaluated the antiviral use of tamarind seed-derived lectin having specificity for NAG and assessed its ability to block the entry step of the virus," says Prof Tomar. The research group at IIT Roorkee has filed a patent for an antiviral composition containing this tamarind antiviral protein. The researchers are now developing tamarind-based therapeutic agents for chikungunya.